Completely updated beautiful Upper Corner suite facing Greenbelt. Morning sunrise & evening sunsets from this quiet North Wrap-around balcony. Newer flooring laminate wood & porcelain tiles. Remodelled kitchen & beautiful bathroom w/relaxing Spa-like soaker tub. Large bedroom w/double closet & space-saving modern sliding doors. Excellent well maintained building! Recent building upgrades inc ext & int painting, modernized hallways & newer carpeting & lighting throughout. Building re-piped 2012, & roof 2004. Shared laundry facilities on every floor. 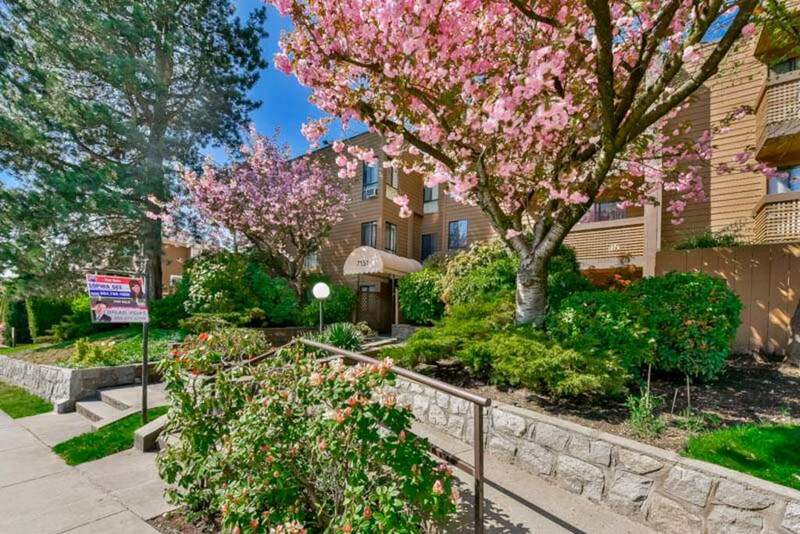 Secured and patrolled underground parking w/option to rent more. One storage locker. Plus!.....Pet-friendly, fenced and beautifully forested back grounds. Hi Brian Vidas & Sophia Gee, When I was browsing http://realestatechannel.ca I found your listing. Please send me more information about 413-7151 Edmonds St. Thank you.